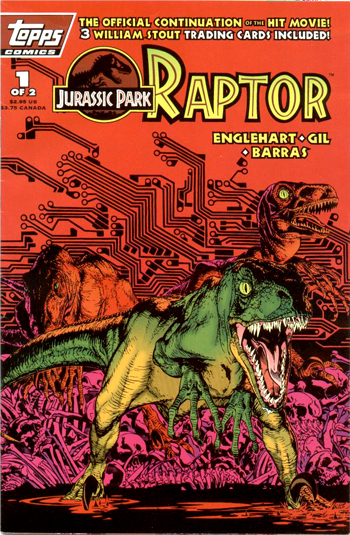 With the success of the first film and the new found “Jurassic Mania” in the early 90s, Topps Comics created a follow-up series called “Raptor.” This series begins where the first film left off and it involves Grant and Ellie. Eventually it spawned into two sequel series, “Raptors Attack” and “Raptors Hijack” which brought Malcolm into the fold along with a revived Robert Muldoon as they hunted through the Amazon searching for the Raptors that were abducted by a hunter known as George Lawala. 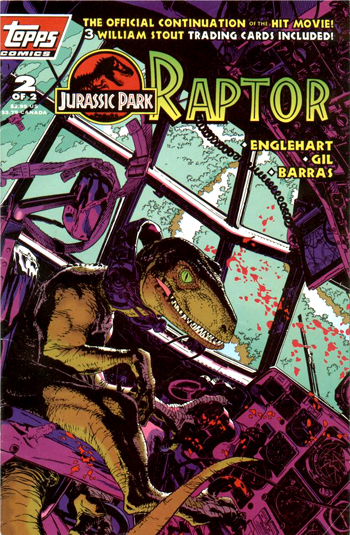 Later, Jurassic Park: Raptor was republished in the ten issue series known as “Jurassic Park: Adventures”. This set was comprised of Raptor, Raptors Attack, and Raptors Hijack. Three Days after the events of the catastrophic shut down of Isla Nublar the United States Army has claimed the island for its own, aiming to clean it up. Alan and Ellie have been hired by the United States Army to work as advisers while Malcolm recovers in the hospital. Hammond has taken Lex and Tim back to his estate. George Lawala feels he can get away with kidnapping scientists and transporting Raptors to the mainland; however, this is only a few of his mistakes as his downfall is imminent. The Velociraptors are found to possess the ability to communicate with each other on a level never understood before and manage to free themselves from their prisons by watching Alan and Ellie try to escape. Soon, Lawala recruits Alan and Ellie to try to help recapture the Velociraptors. The pilot on the plane, Brennan, and George Lawala subsequently are killed and it’s up to Alan and Ellie to attempt to land the plane. 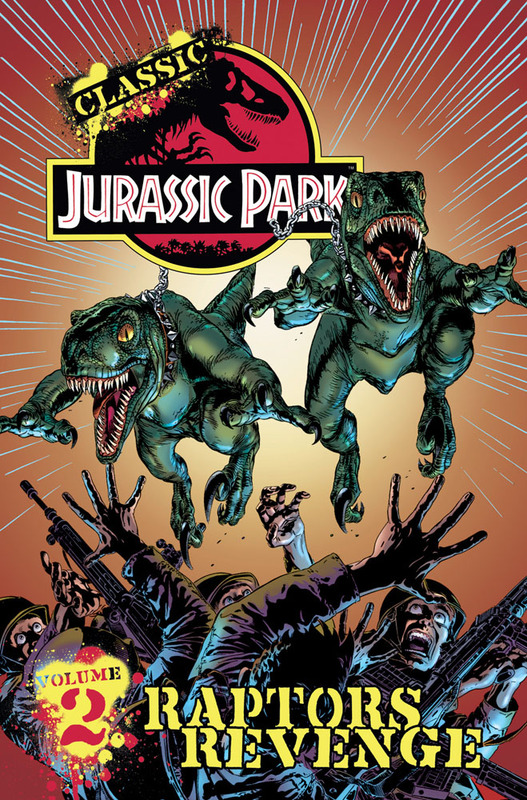 This comic collects the Jurassic Park #0 comic prequel, issues of Jurassic Park: Raptor #1 & 2, and the sequel series Raptor’s Attack #1-4. Re-published by IDW Comics after them acquiring the license to the series.